Born April 13, 1975 in Dnepropetrovsk, Russian ice dancer Tatyana Navka grew up in a family of sportsmen. Involved in sports, her parents encouraged their daughter to skate. Interestingly, it was famous Russian figure skater Elena Vodorezova, who inspired Tatyana to go in for ice skating after she had watched her performance on TV. So, at the age of 5 the future champion started skating seriously. For today, Tatyana is the 2006 Olympic Champion, two-time World champion (2004–05), three-time Grand Prix Final champion (2003–05), and three-time European champion (2004–06). Meanwhile, Navka and Roman Kostomarov retired from competition after the Olympics, but still continue to skate in shows together. Besides, Tatyana Navka has also partnered with Russian celebrities to compete in Channel One Russia ice shows. In particular, Stars On Ice, which she won with actor Marat Basharov, and Ice Age, in which she was runner-up with actor Ville Haapasalo. Also, in the 2008–2009 season of Ice Age, she was runner-up for the second time, partnered with actor Vadim Kolganov. And in October 2011, she became a 2014 Winter Olympics (Sochi) ambassador. 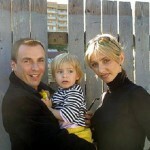 Navka married Alexander Zhulin in 2000, with whom she has a daughter, Sasha, born in May 2000. For a long time Tatyana Navka lived and trained in Montclair (NJ, USA). Since the beginning of the “Stars on Ice” she, with her husband and daughter returned to Moscow. However, in 2010, Tatiana and Alexander officially announced the break-up. According to HELLO !, Tatiana Navka and Dmitry Peskov are going to marry this summer. It is expected that the celebration will be held in Sochi. More precise details are still unknown. Furthermore, neither the athlete nor a spokesman for the Russian president has not yet commented on this information. It is noteworthy that Tatiana and Dmitri for a long time managed to hide their relationship. In August, the couple had a daughter, Nadezhda. Also Tatiana Navka has a 14-year-old daughter Alexandra from her marriage to Alexander Zhulin, whom she divorced in 2009, and Peskov has four children from previous marriages.